Love puzzles, finding gems and hidden paths? Well, you are in for quite the treat. Tomb Survivor for PC will offer this and much more. 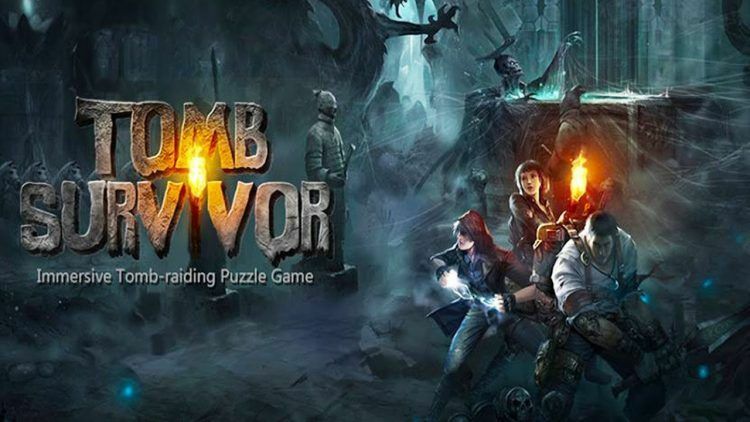 Tomb Survivor will thrill and indulge you in darkness. You will be required to raid tombs, fight monsters, escape from jail and even get into a coffin! In addition to this, the deadly puzzles will have you coming back for more. Finally! We have found a game that offers much more than a catchy title! In Tomb Survivor, there are three immortal creatures who are known for the wealth and success and wealth that they have accumulated over a long time period. In essence, they have been unbeatable and indestructible. There are generations that tried to uncover their secret to their immortality but to no avail. In comes the King Liu An who rules the Han Dynasty. In the shortest period of time, he has already uncovered the secret and this brings a conspiracy to light. Your main job is to unveil the answers that the people are seeking. It is a hefty task for you but if you are committed to your journey you will find success. Tomb Survivor for PC certainly offers a great, immersive experience. The tomb in itself is well designed and quite easy to get into. Apart from this, it has a number of open coffins and queer echoes that are clearly heard around. The tomb is literally made to scare you out of your mind. There are haunted ghosts everywhere and they cannot wait to devour you to pieces! If there is one word that can perfectly describe this game, it is ‘unknown’. First, you have to uncover the immortality secret of the three sovereigns, expose the conspiracy and then witness any changes that will occur in the dynasty. Therefore, do not be too impatient when you get started. Everything will come together in the end. At the beginning of the game getting those boosters seems like a logical choice to make. But do not be in a hurry! As you continue playing, you will realize that there are many other ways to level up. So save those points as they will come in handy at the closing hours of the game. By now we know that the tomb is meant to scare you and raiding it is no easy task. It is full of scary creatures as well as unforgiving wild animals that will automatically become your target. Whenever you want to eliminate them, ensure that you shoot from a safe distance. It is important to identify anything that lies around as it could be a hidden explosive or a smoke bomb. This will save your ammunition and allow you to eliminate anything that stands in your way rather quickly. From time to time, it may be difficult to walk over hidden stash or skin animals in your first attempt. But do not give up. Try a second or third time and you will succeed.